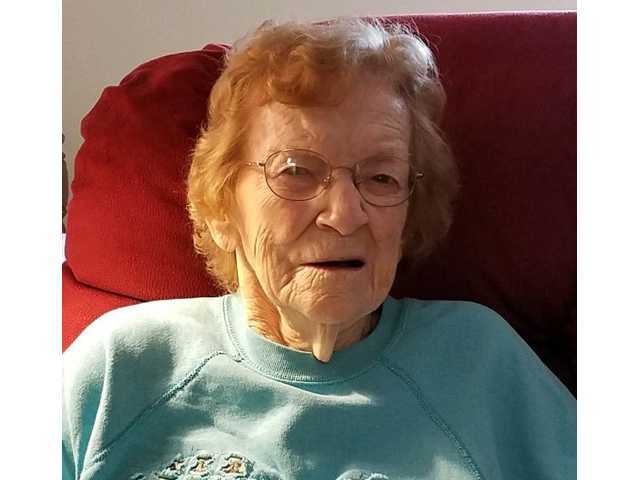 POSTED March 19, 2019 10:34 a.m.
Arlene Adelphia Joseph, 102, of Viola died on Thursday, March 7, 2019, at Schmitt Woodland Hills. The funeral service was held on Sunday, March 10, at Pratt Memorial Chapel. Burial will be held in the Viola Cemetery at a later date. A visitation was held on Sunday, March 10, at Pratt Memorial Chapel until the time of the service. The Pratt Funeral and Cremation Service assisted the family with arrangements. Online condolences may be made at prattfuneralservice.com. See a complete copy of the obituary in the March 21, 2019 issue of The Richland Observer.